This must be how little, Ady, felt when a 7.0 magnitude earthquake hit their hometown in Alaska. 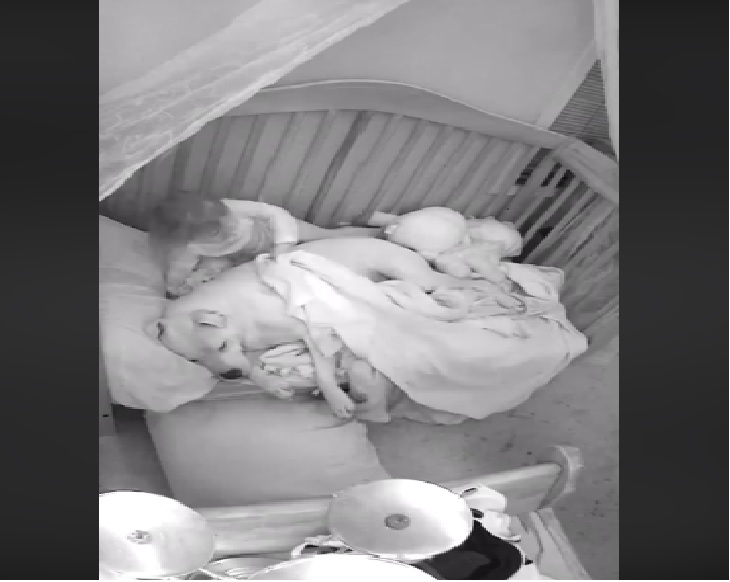 After the disaster, the toddler could not sleep alone anymore. However, she found a way to adjust with the help of their family’s reliable pitbull, Fury. After the devastating earthquake hit Alaska, Kyle Leary and his family considered themselves fortunate to have escaped unscathed. Scared to close her eyes at night without anyone by her side, Ady called her “best friend and bodyguard”, Fury, to cuddle up next to her. 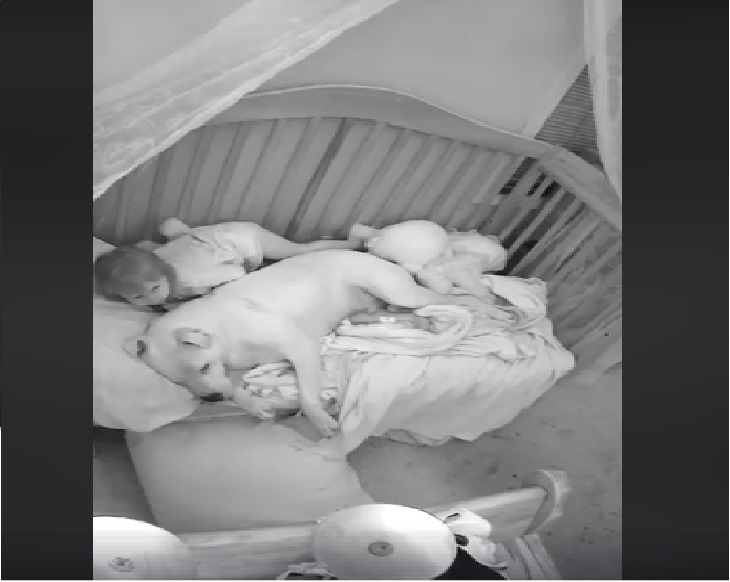 The reaction to Kyle’s video was swift, not everyone agreed with the idea of letting a 100lb dog sleep beside a toddler. However, Kyle maintains that Fury is a part of the family, and would never cause pain or hurt to his daughter. He believes instead that as Ady grows up Fury will continue to protect and serve her.